Bitcoin (BTC) Technical Analysis: Breaks $3,800 Support, Are We in For Another Red Week? Bitcoin is starting off the week in the red following a sudden $130 drop in value during the early hours of this morning. The sharp price movement appears to have sparked off a bear market rally which has so far driven the asset through its psychological $3,800 support, and increased trading volumes by over $1 Billion. The #1 cryptocurrency by market capital will now be relying heavily on its strong downtrending support below at the $3,770 mark to slow down its rapidly declining price action. 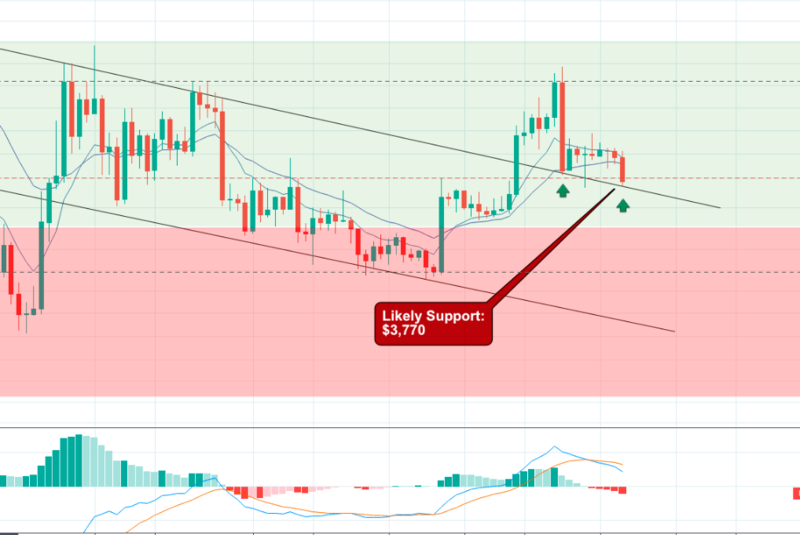 This area may provide bullish traders with an opportunity to push back early however, the former $3,800 support is likely to create a strong resistance against a quick recovery. If bears succeed in breaking this critical level then it is highly likely that BTC will continue to extend its losses throughout the rest of today, and possibly into the rest of this week. The pressure is on. 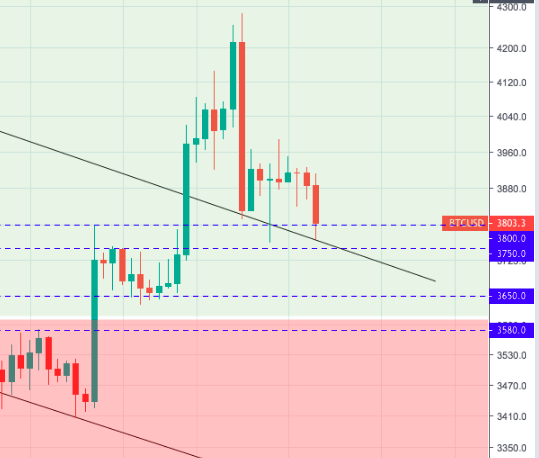 On the 1D BTC/USD we can see that the asset is currently oscillating between the $3,800 resistance and the downtrending support level at $3,770. Looking at a number of indicators over 4HR candles it appears that bears have taken back control of the asset and could be about to reverse the current trend if support doesn’t arrive soon. Price action has fallen below the central MA on the Bollinger Bands. From this it appears likely that the increasing intraday selling pressure will eventually overwhelm BTC buyers and drive the asset through the critical support. Bullish investors have already had their spirits broken by the heavy sell off that transpired on February 24 and right now there just doesn’t seem to be any obvious bull market catalysts to help boost trading confidence. All ROIs are calculated from the asset’s current value at $3,803 (AToW).